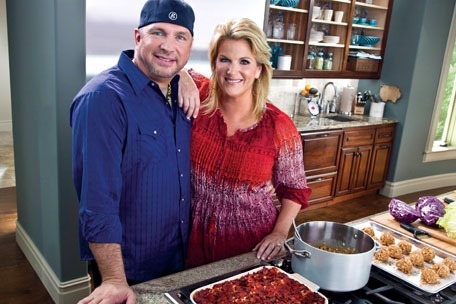 Most country music fans know Trisha Yearwood as the singer who made famous songs like “She’s in Love With the Boy,” “Walk Away Joe,” and “How Do I Live,” and, we all know she is the wife of country superstar Garth Brooks. And, a lot of us who watch the Food Network know that for the past nine seasons, Trisha has had a cooking show on every Saturday, called Trisha’s Southern Kitchen. Trisha’s show has been nominated for Outstanding Culinary Program at this year’s Daytime Emmy Awards. Winners will be announced during this years awards presentation, held April 30. The Daytime Emmy Awards are for programs which air from 2 a.m. to 5 p.m. In addition to hosting the show, Trisha serves as executive director for Trisha’s Southern Kitchen. the show won a Daytime Emmy in this category back in 2013. In addition to Trisha’s website, visit her Facebook page, and be sure to “Like” it while you are there. Follow her on Twitter @trishayearwood. If you aren’t already following Country’s Chatter on Twitter, we’d love to have you. You will find us @countryschatter.